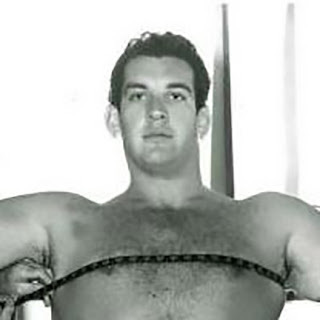 The PEPLUM genre is often associated with bodybuilders like Steve Reeves and Mark Forest but the genre also has a direct connection with another sport, wrestling. Many actors of the genre started as wrestlers or a combination of stuntman / body double / circus performer / wrestler (phew!). This is fairly common in the Italian PEPLUM universe. The PEPLUM explosion that started with the success of HERCULES (1958) coincided with the Golden Era of the professional wrestling back in the 1950s. Here's just a small sample of wrestlers who made it in Euro Sword & Sandals. Super tall at 6'8", Mike made only one film but it's one of my favourites, ULYSSES AGAINST HERCULES. Lane played a beardless and very tall Hercules. Georges Marchal was Ulysses. 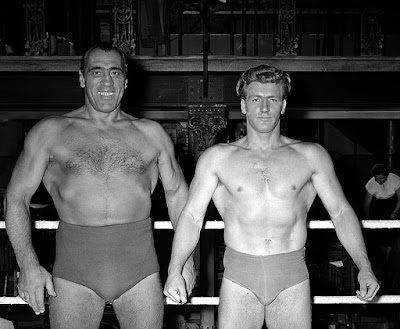 Primo Carnera and Joe Robinson in A KID FOR TWO FARTHINGS. Both wrestlers would make films in Italy. Joe would appear in many lead roles and supporting roles, including BARABBAS co-starring Jack Palance. More on Primo below. 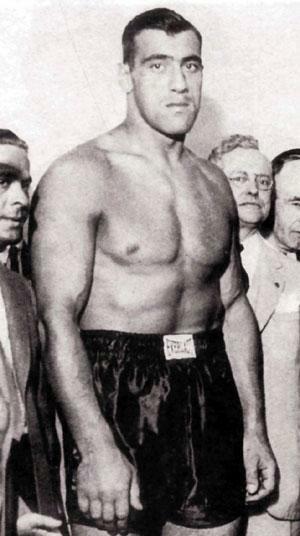 Primo was a world champion boxer who also had a career in wrestling. He would work part time as an actor, including the now legendary fight between Antaeus (Primo) and Hercules, played by bodybuilder Steve Reeves, in HERCULES UNCHAINED. Dara Singh, a popular wrestler from India, also played peplum roles in Indian inspired peplum movies. Wrestlers are good choices to play the role - usually muscular and already skilled in fight scenes!